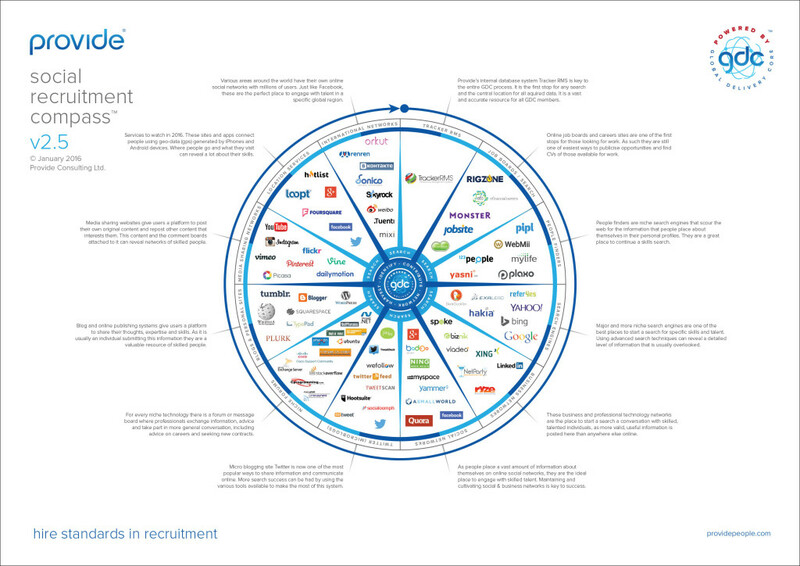 Social Recruitment is at the heart of what our Global Delivery Core do for you when sourcing the best people for positions within your company. We take our search and networking activity beyond the office and the phones and apply the skills of our team across online and offline social networks. Social Recruitment isn’t a quick fix solution, the GDC have developed mature networks and gained credibility across the globe as IT industry experts and use this powerful status to connect with the most skilled, talented and reliable candidates for your business. Our simple Social Recruitment mantra is: IDENTIFY, CONTRIBUTE, NETWORK, HARVEST. 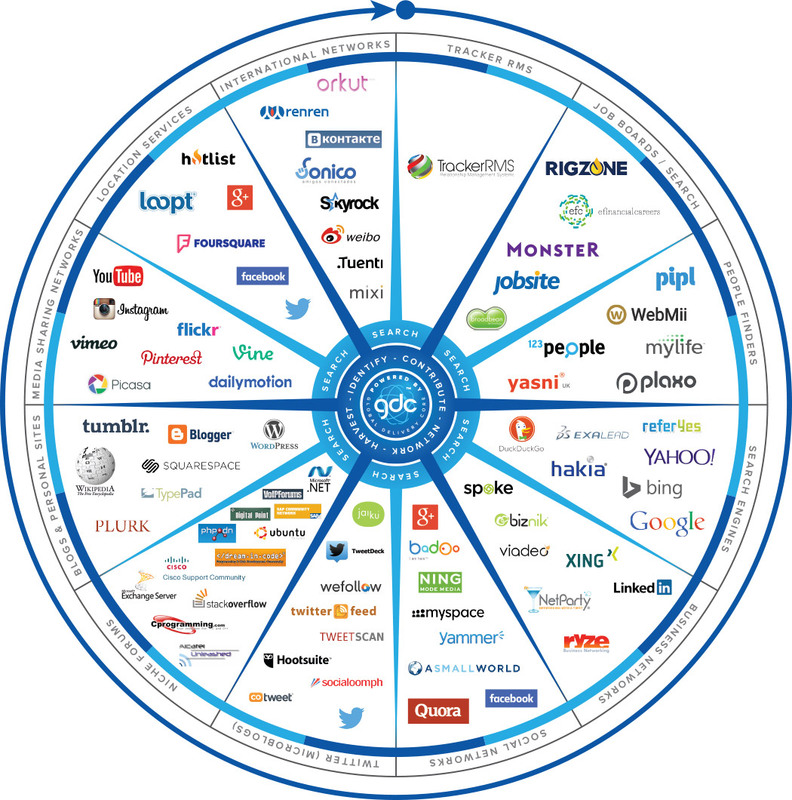 Now updated for 2016, we have visualised this process in the form of our Social Recruitment Compass; an infographic showing some of the social networks and media (including our own internal database) that we use and in what order we approach them.